This post brought to you by DAP Products Inc.. The content and opinions expressed below are that of Petticoat Junktion. No Hammer, No Nails, Really! How many times have I told you guys how lazy I am? A bunch, right? I like easy projects that don’t take a lot of effort and this one fits the bill. 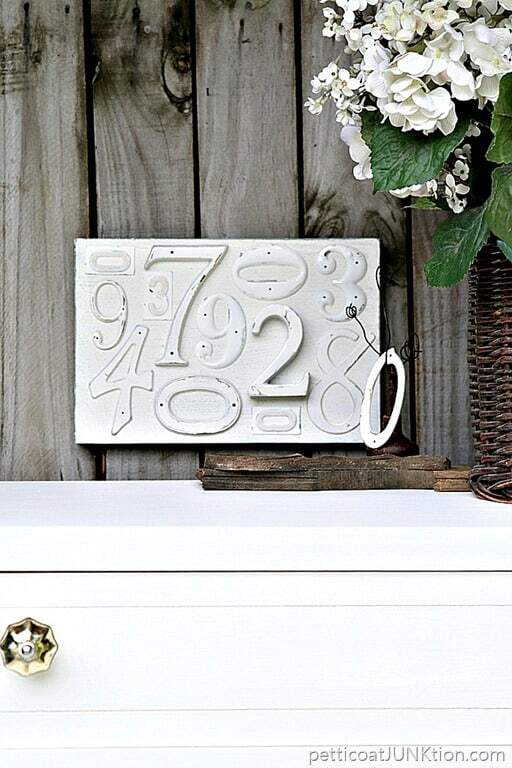 Number and alphabet home accessories are on trend now and I finally got around to creating my take on the trend. 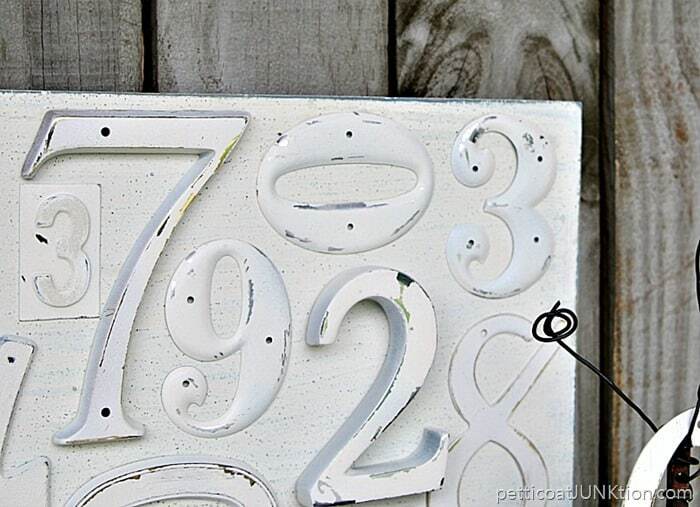 All of the numbers on the decorative wall art are metal and some of them are really heavy. I didn’t nail them to the board. 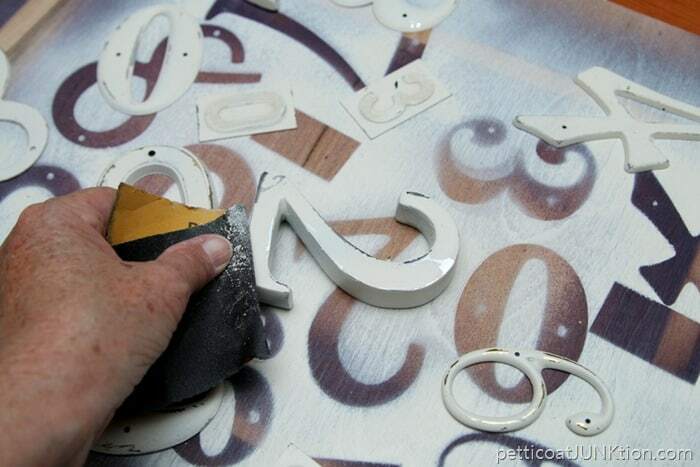 I used DAP® RapidFuse™ All Purpose Adhesive. 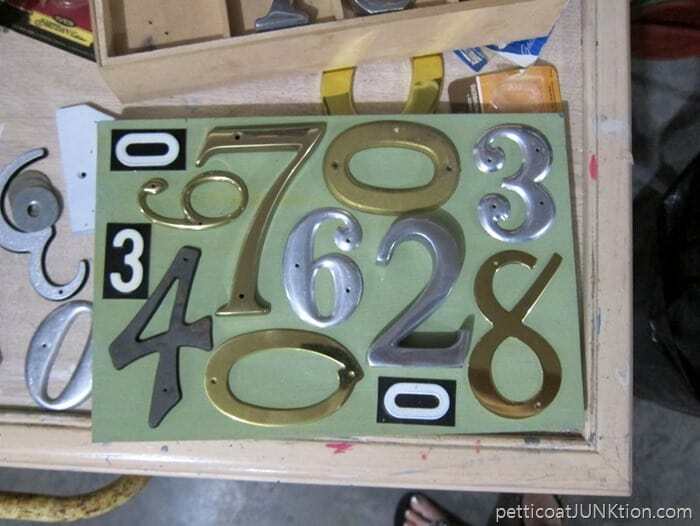 The numbers are thrift store finds. I snag them at cheap prices then wait for project inspiration to hit. I found a reclaimed board in my stash and laid the numbers out in a neat pattern. I was going to adhere them to the board then spray paint everything but decided to paint the numbers and the board then put them together. I used off-white spray paint for the numbers and the board. It was raining the day I made the project so I spray painted under our carport. 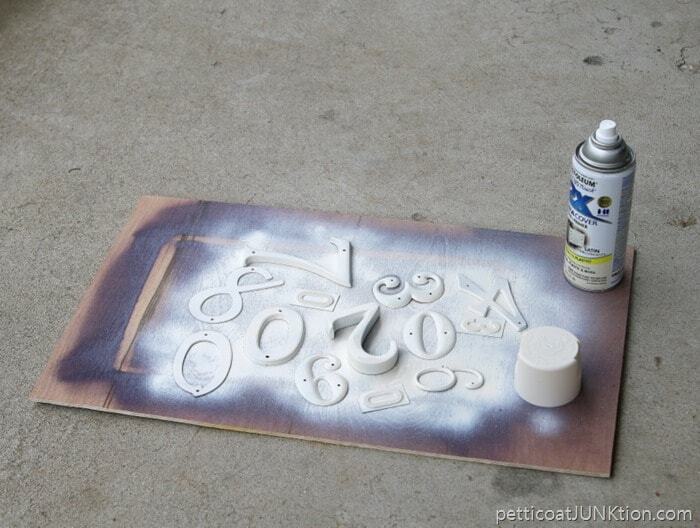 Because of the odor I always try to use spray paint outdoors. Before adding the numbers to the board I attached a wire hanger and wall protectors to the back. You guys know 9 times out of 10 any project coming out of my workshop is going to be distressed. 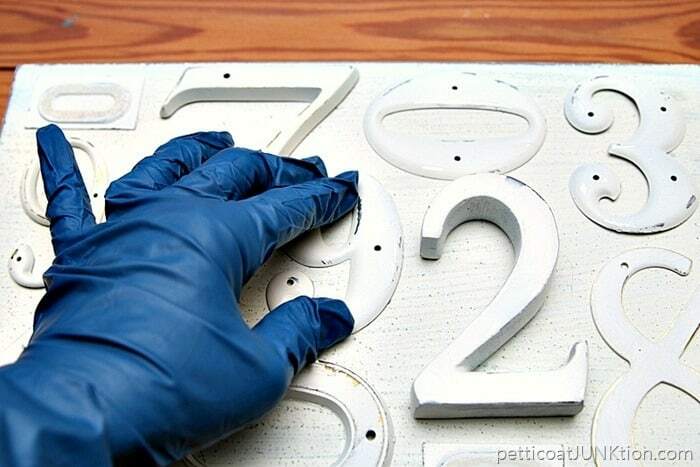 I lightly distressed the numbers and the board by hand using 150 grit sandpaper. I applied the Dap RapidFuse to the back of the numbers. Then I pressed and held each number in place for about 30 seconds. After I had all the numbers on the board I let them sit for a couple of hours. That’s all it took. There wasn’t any mess and the adhesive dried clear. The RapidFuse is twice as durable as other adhesives and bonds to just about anything; rubber, glass, metal, fabric, concrete….you get the drift. 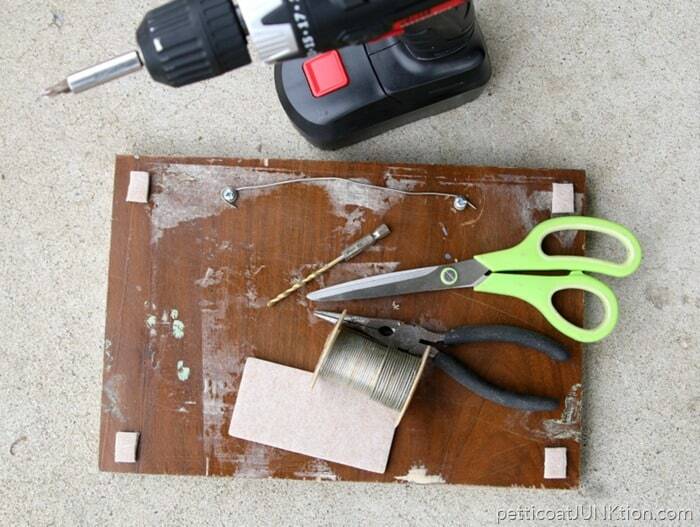 It’s great for repairing kids toys and things around the house. 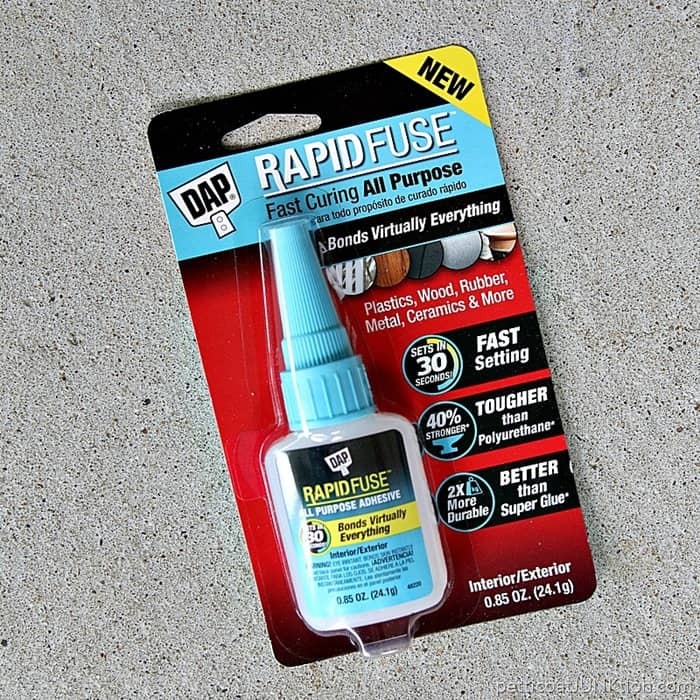 I put RapidFuse at the top of my favorite DIY products after using it on the birdhouse project last week. I didn’t have to mess with crinkled tubes and dried up sticky glue.Yea! How easy was that. And so pretty. Patting myself on the back and having a piece of chocolate….or two pieces. The project was ready to hang and photograph at the end of the day. 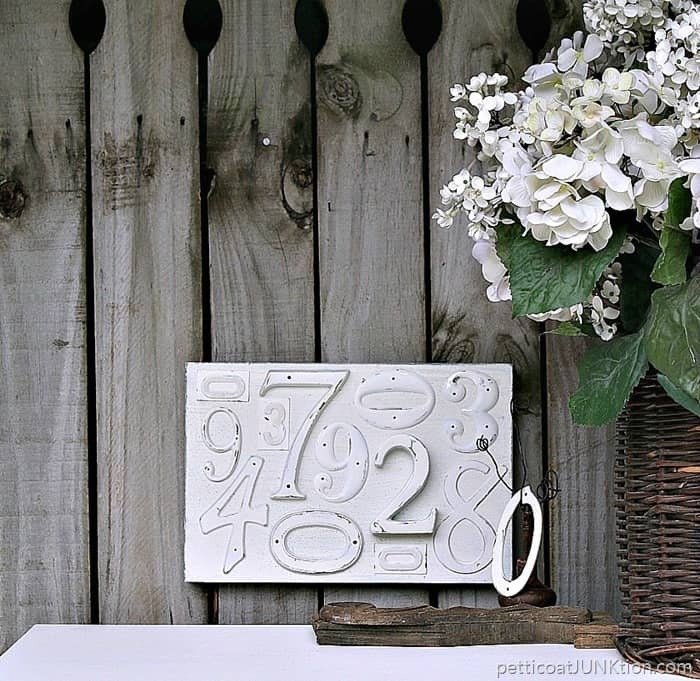 What do you think of the use of numbers and letters in home decor? Visit DAP Facebook to learn more about the RapidFuse. That’s it for me. Have a great day and I’ll see you tomorrow. Such a unique wall art idea! I love it!!! I’m so glad I stumbled upon your blog! We just picked up some old barn wood from a friend’s property and this gives me a great idea…. 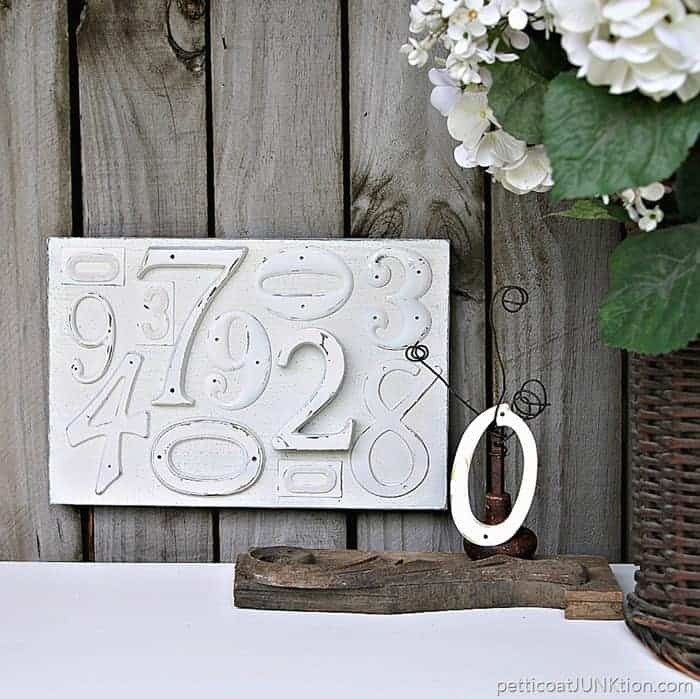 there is one long wide piece with a knothole at the end.. wouldn’t it be interesting to paint the numbers of our wedding date or any other important date, for that matter, leave the wood in all its weathered glory and glue the numbers on it for display somewhere in our home? Yes… I think it would! I love this idea. Plus I need to buy this glue. You can never have enough different kinds of glue, right? That looks awesome! I love all the different sizes and fonts for the numbers! Hello, where did you purchase the DAP Rapid Fuse? I love how your project turned out!!!! DAP sent it to me to test but you can get it on Amazon. There is a link in the Amazon widget on the right side of my website. It is one of my favorite products so I added it to the widget. 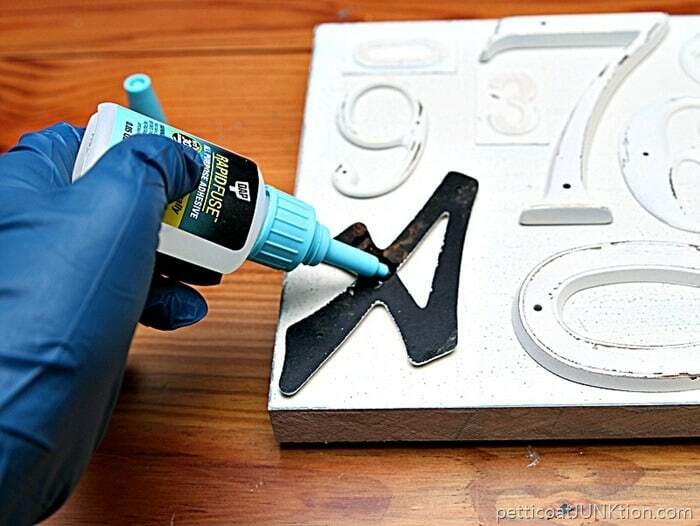 I love that the glue looks easy to use and contain. I’m off to get some! Thanks for this funky fun idea, Kathy. So excited to learn about a new glue and the project is fantastic! I really like this idea! 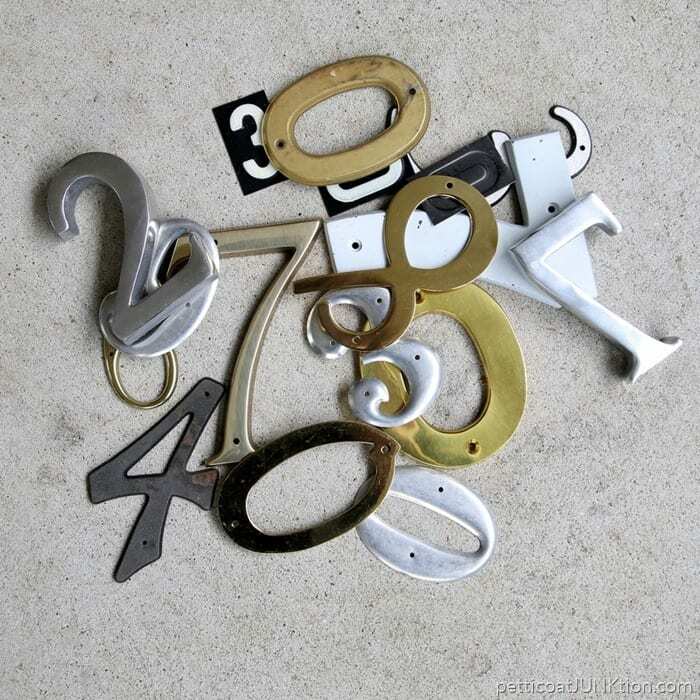 I like numbers and have been collecting them. Does it hang by the wire with the zero? or are they decor too? It has a wire hanger on the back side of the board. You’re the first to tell me about this product. I like the E6000 but it is messy and I have to be so careful to not let too much come out of the tube. Once again, Kathy, I’m impressed with your creativity. I would never have thought to make a picture using all these numbers. Very clever! Great project! I had never heard of the adhesive either, but am going to try it. Thanks! Awesome!! Have never heard of this adhesive, but will give it a try. I just love all of your projects. Truly inspirational! Will begin looking for numbers and/or letters! Love this and the little “0” on the side!